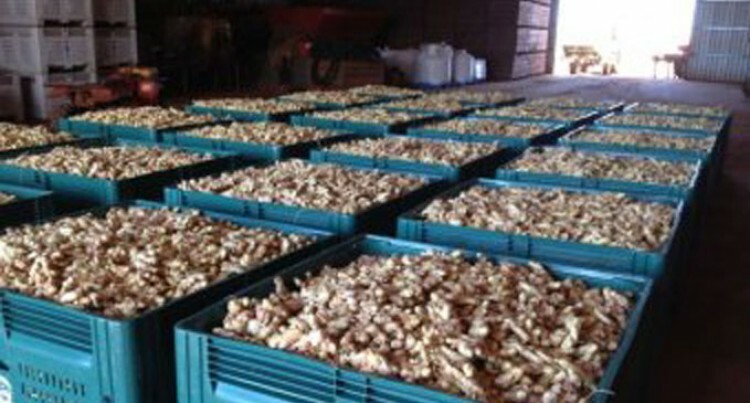 Australian wholesalers expressed their joy as 500 kilograms of fresh ginger from Fiji went on sale in Sydney yesterday. They believe the Fijian ginger imports could bring down ginger prices in Australia which has been quite high. The first batch of Fijian ginger was exported earlier this month after getting the green light from the Australian Government. Bill Chalk, president of the New South Wales Chamber of Fruit and Vegetables, said he expects the Fijian ginger to enter the Australian market to good interest. The Fijian ginger has been imported into Australia by, Sai Yee Foods Industries Limited. Mr Chalk believes the imports could ease high ginger prices in Australia, and he’s confident they will be safe. “Obviously there’s a price advantage because ginger’s been so dear for so long, so people have gone down this path to get the permits to import,” he said. “I’ve always found that AQIS (inspectors) upon arrival punch way above their weight; they’re very competent. The Australian Department of Agriculture has confirmed it has issued seven import permits for Fijian ginger. However, the horticulture groups are outraged and have raised biosecurity concerns. But the Department of Agriculture says it’s business as usual while it awaits the final outcomes. Anthony Rehbein, from the Australian Ginger Growers Association, said not enough research has been done to develop stronger defences against a virulent strain of burrowing nematode. Ginger imports have to be free of soil and fumigated with methyl bromide, a surface spray, but Mr Rehbein and even a Senate Committee report claim that has limited effect, because the roundworm lives inside the ginger. A Department of Agriculture spokesperson says the spray does penetrate enough, and that import conditions are based on the best science available and in line with the World Trade Organisation. The spokesperson says outcomes of the import risk analysis review will be considered when they come to hand. Rachel McKenzie, from the peak horticulture body Growcom, says the threat spreads further than ginger crops. But she says the full extent can’t be measured because the import system is so shoddy.